Dr. Michael Bentz is certified by the American Board of Surgery and the American Board of Plastic Surgery. 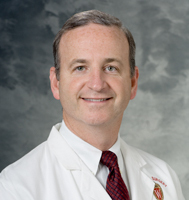 Dr. Bentz’s practice focuses on plastic and reconstructive surgery for infants and children. He has special interests in pediatric hand surgery; cleft lip and palate surgery; chest, abdominal wall, and extremity reconstruction, and the treatment of birthmarks and vascular lesions. Dr Bentz also performs general reconstruction of the adult trunk, extremities, and head and neck.